Excellent, authoritative editions of 3 of Gabriel Faure's finest chamber works: Piano Quartet No.1 in C Minor Op.15 ; Piano Quartet No.2 in G Minor Op.45 ; Piano Quintet No.1 in D Minor Op.89 . While Faure wrote a relatively small number of chamber music compositions, they have achieved great popularity and are generally considered among his finest works. 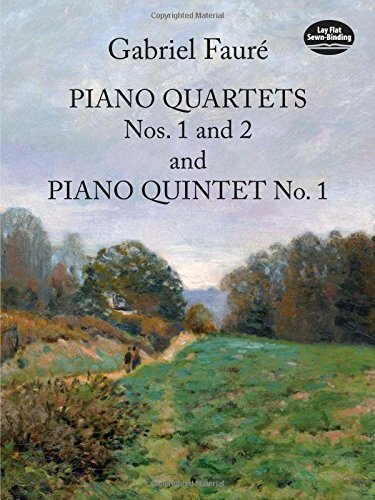 This attractive, inexpensive volume contains three of his best, most mature compositions in the genre, including the 'lost' first quintet, considered one of the masterpieces of the literature.